As an animation producer, Nagano has worked on several popular titles since he began working for AIC in 2003. Some of his recent works include Tenchi Muyo! War on Geminar and Wandering Son. 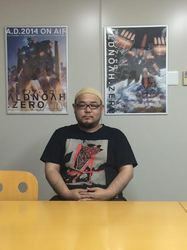 In 2013, he established the animation production company TROYCA which produced the innovative mecha series, ALDNOAH.ZERO. Nagano currently serves as the company's president and representative director.